Does Rodgers really, truly believe that? Maybe, maybe not. But this is exactly the kind of confidence and leadership a team needs from its QB during the tough times. I hope star pass-catchers (and A-rod critics) Greg Jennings and Jermichael Finley are listening (What’s that? They’ve been out of the league and irrelevant for years? Oh, well, someone should probably remind them of that). Any type of 2016 turnaround will hinge on the defense however, which seems to let one or two big plays snowball into a total collapse every week. In Tennessee, the collapse began on the first play from scrimmage. In Washington, the defense battled for the entire first half before the wheels fell off late. The Eagles are no pushovers, but an ultra-conservative offense led by a rookie QB (Carson Wentz’ 6.57 YPA ranks 28th in the NFL) with a bottom-3 receiving corps is certainly a good place for Dom Capers to start. The imminent return of Damarious Randall will be a tremendous boost to a crumbling cornerback group, and the return of breakout inside linebacker Jake Ryan will offset the loss of rookie Blake Martinez for the next 2-4 weeks. 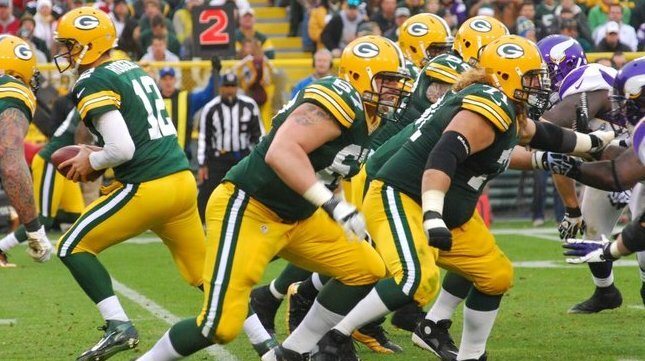 On offense, the Packers have now had fewer than 20 rushing attempts in four straight games, which is the longest streak in the Mike McCarthy era. This has been somewhat game-flow driven, with the team forced into catch-up mode early and often for the last month. Regardless of the game situations, it doesn’t help when the best running back on your roster is a wide receiver. Seattle cast-off Christine Michael is expected to make his debut this week, and it will be interesting to see if he can have any kind of impact. It will be hard for him to be any worse than the washed up James Starks any way, whose 2.5 YPC are less than half of what ‘Fat Eddie’ was averaging before he got hurt (5.1). Let that sink in for a second. On the flip side, Aaron Rodgers and the passing game have finally come alive, though the team desperately needs to find a way to overcome its weekly slow starts. While A-rod’s resurgence hasn’t been enough to overcome a historically bad defense, it has at least put an end to the “What’s Wrong With Aaron Rodgers?” #HotTakes (for now). Unless your name is Skip Bayless, who will continue beating that drum until ESPN throws in the towel on his failing TV show. As a philosophical aside, if professional troller Skip Bayless trolls your team on Undisputed but literally nobody is tuned in to hear it, did he make a sound? This game will go a long way to proving whether the recent offensive resurgence has all been smoke and mirrors though, as the Eagles rank 2nd in pass-defense DVOA (and 14th against the run) while allowing an average of 10 points per game at home. The strength of the Philadelphia defense is their front seven, which dominates the line and smothers tight ends in coverage (a bad sign for Jared Cook), however their corners are a liability that Nelson, Adams, and Cobb should all be able to exploit. Here is a closer look at several other key match-ups. I’m sure Don Barclay is a nice guy. The front office thought highly enough of him to bring him back on a 1-year deal this past offseason despite his struggles. Coaches likely viewed Barclay as a security blanket for ’emergency use only’. Well starting RG TJ Lang is now hurt, the smoke has turned to fire, and we’re all discovering (once again) that this particular fire extinguisher expired years ago. Fletcher Cox (listed at 6’4″, 310 lbs.) received a $100M extension this past off-season from Philly (a move that was widely praised) and won NFC Defensive player of the Month in September. Stopping Cox will require a team effort and 4 hands on him at all times, and possibly a holding penalty or two from Barclay just to prevent Rodgers from getting killed. Listed at 5’6″, Sproles will inarguably be the smallest player on the field on every snap he plays, but he will also be Philadelphia’s most dangerous weapon. He’s averaging a team-high 5.1 YPC (compared to Ryan Mathews, 4.2, and Wendell Smallwood, 4.4), and is third on the team in receiving with 30 catches for 304 yards (behind only Jordan Matthews and Zach Ertz). Sproles will be a mismatch for any player lined up across from him this week, and with Blake Martinez out, Thomas will likely be tasked with the job most often as the starting and Dime ILB. Let me preface this argument by stating that, growing up on the east coast, I’ve always been a fan of cheesesteaks. After visiting Wisconsin and Lambeau Field for the first time earlier this year however, I can definitively say that Cheese Curds (which are basically the midwestern relatives of Mozzarella Sticks, the world’s greatest appetizer) are better for a number of reasons. Okay I admit, trolling is kind of fun sometimes after all. 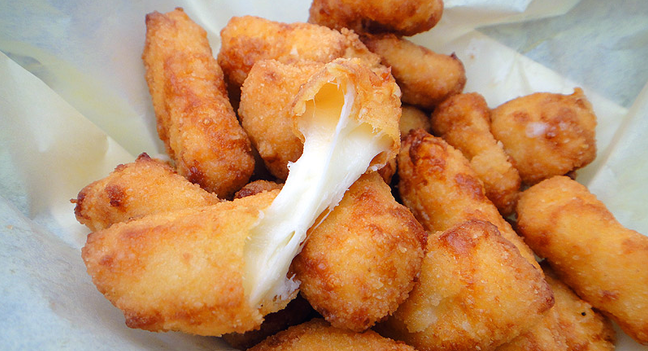 Game Prediction: Cheese Curds prevail, 20-17. Go Pack Go!